Galmudug Somali TV LIVE watch here on Somali IPTV and many other Somali TVs from all around the world. You can watch Galmudug TV LIVE watch here, Galmudug TV is also available on our Android APP which you can download from this website or here Click here. In addition to that, you can also download our other android apps available on Google Play Store. Most noteworthy, we are trying to bring you the best of Somali LIVE TV, therefore, we are adding more channels and improving the quality of the LIVE TV streaming. First of all, Galmudug broadcasts in Somali language live from Galmudug State, brings you latest Somali news and entertainment programs from all over Somalia and the world. 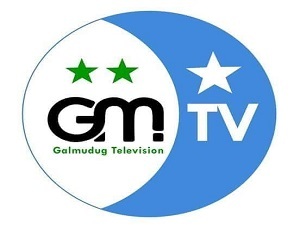 watch more live tv here like Galmudug TV. Somali IPTV is the first of its kind, because of that, we are investing technology and time to bring you LIVE streaming that never stops. Finally, Somali IPTV brings you All Somali LIVE TV in one place, hence, this is the number one spot for you to watch all Somali TV channels and not just Galmudug TV. We have huge database of TV channels available to choose from. Finally,Somali IPTV brings you All Somali LIVE TV in one place. This is the number one spot for you to watch all Somali TV channels and Galmudug TV.